In 1890 it was decided to build a larger school than the Grant School. A four room building was built at the cost of $5,000 on the current school grounds. In 1902 a library was constructed. In 1902-03 a library was added on. In 1904 a small building was erected across the street to house the primary grades. These two buildings served the community until 1913 when the brick school house was built. The first year of high school curriculum was added in 1895. In 1889 another year was added and in 1907 the third year was installed. In 1914 the fourth year of high school curriculum was added. 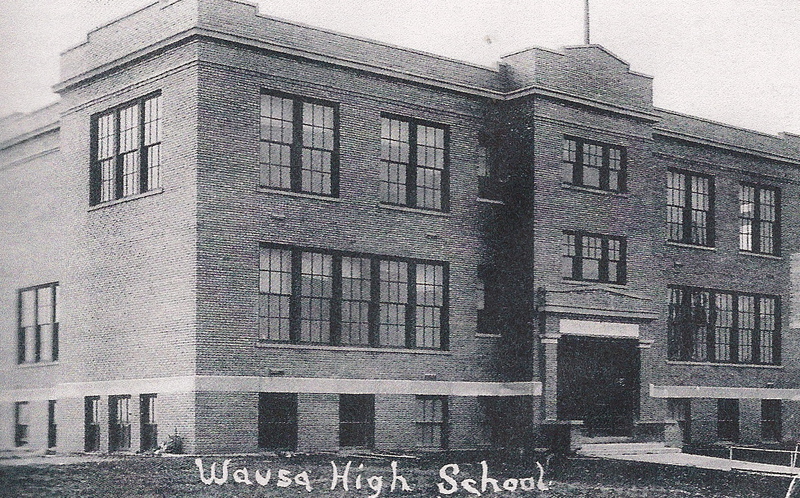 The year of 1915 saw the first graduating class from Wausa High with two students-- Roy Gearhart and Nina Jurgensen. In the early days the graduating classes were small, with only a handful of graduates in each. In the middle of the 1920's classes began to grow. Current classes range from 12-24.